I am added H5P module in my Drupal-8 but am not getting proper libraries for Interactive video. I am not getting a editing page of interactive video.and I using Drupal-8.5.3 and H5P virson h5p-8.x-1.0-rc6. I am not getting 'H5P' content type. Please take this page and follow the installation/setup instructions for H5P in Drupal 8. The screenshot that you attached shows part of the setup process you need to make sure that all steps are finished before you can create H5P activities. How can I use H5P creating interactive content in Html site? I want to use complite H5P code like course presentation, creating interactive video in my HTML site. how can i use it? You can use the built embed feature of H5Ps. You can get the code by clicking on the embed button at bottom of the content. Thank you so much so for quick responses I really appreciate your efforts. 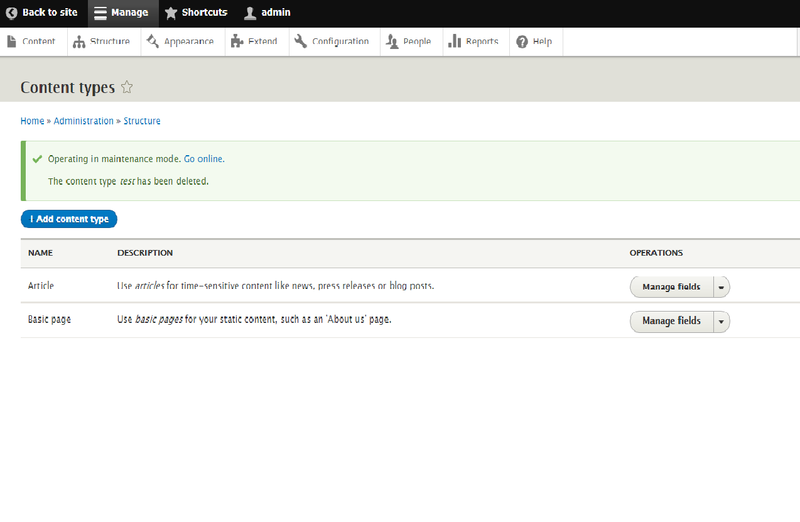 Now I am able to run Drupal with H5P on local host. I want to make changes in the same. I have some problems. 1. Which IDE (integrated development environment) I should use to make changes in Drupal? 2. Can I debug to improve speed of development process ? 2. Is there any kick start guidance steps/video/links/books? 3. If I am able to make changes how can I contribute to the community? I think most if not all of your questions can be answered by the articles in this page. I understood that, I should WYSIWYG editor to begin further development. Also I want to put it on production so is there any way to scabble (uglyfy) the JS and PHP file so no one can get the source. Also can we use this (including flow player) for commercial purpose (I have been through the license agreement and I think its free commercially). H5P is licensed under the MIT license as you can verify by having a look at the respective github repositories. In consequence, you can use it for commercial purposes, too, without any restrictions. This includes that you may "uglify" the code, but I do not see the point since the source code is freely available anyway. Uglification may, of course, be an option for your code, but we are advocates of open source software and will not provide free support for this H5P related endeavor. Flowplayer seems to be licensed under an amended GPL3 license and you should read it carefully. Thanks for your confirmation otacke. I will love go throgh h5p. Seems very latest and promising technology. Thanks again! !